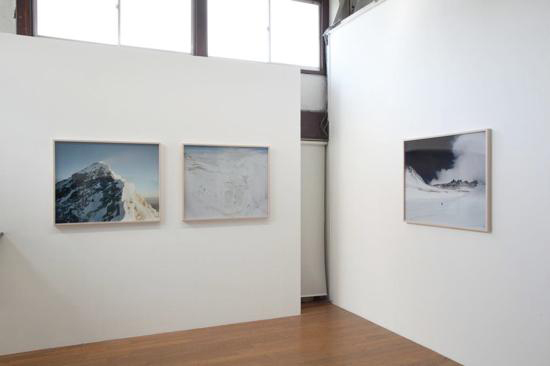 SCAI THE BATHHOUSE | Exhibitions | Past | Naoki Ishikawa "8848"
Naoki Ishikawa, born in Tokyo in 1977, is a photographer who has traveled the globe with camera in hand, recording various moments on film as he feels led to on the spur of the moment. Also interested in anthropology and folklore, Ishikawa has released photographic works on the topic of travel and developing experiences based on his activities. Since catching the travel bug as a teen, he has journeyed to the world's most challenging mountains and frontiers, including the North and South Poles. 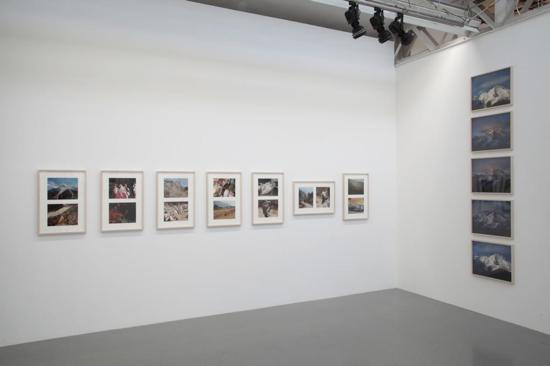 Starting around 2000, Ishikawa began engaging in professional photography. 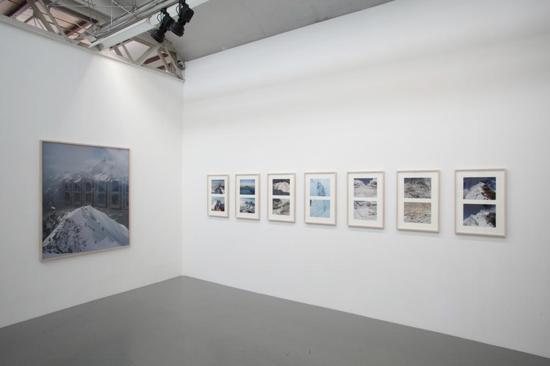 Much praise has been given to his photographic work, which richly portrays the artist's particular worldview. In 2010, he won the 30th Ken Domon Award, the second youngest artist to do so, for CORONA, a collection of photographs published by Seidosha that captures scenes from islands of the South Pacific. Ishikawa has also become a hit in the literary world--his book The Last Adventurer ("Saigo no Boukenka"), published by Shueisha, won the Kaiko Takeshi Non-Fiction Award in 2008. 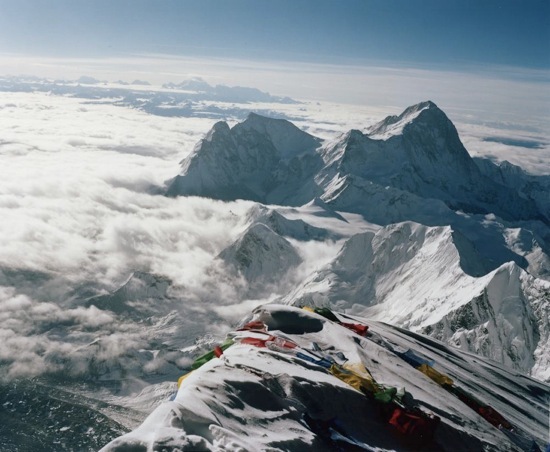 At the end of March 2011, Ishikawa embarked on a two-month journey to climb Mount Everest for the second time. Ten years ago, when he was 23, he successfully climbed Mount Everest, becoming the youngest person to climb the Seven Summits, the highest mountains of each of the seven continents. He climbed the mountain from the Tibet side then. 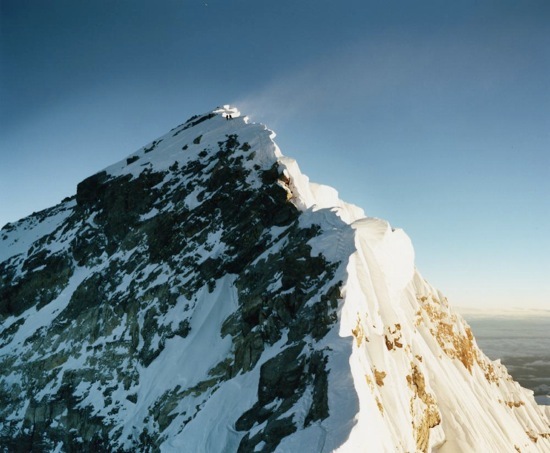 At the summit he saw climbers climbing up from the Nepal side, the opposite route from the one he had just taken. As he pondered what he had seen, a plan to climb to the summit by a different route gradually began to take shape. The objective of his climb this time is to observe everything that occurs on Everest with his own eyes and to make an accurate record of it, capturing it on film. Packing his favorite 6x7 medium format film cameras, the Makina 670 and Mamiya 7 II, and 120 rolls of film, Ishikawa embarked on his trip, saying that he was going to "capture as much of the climb on film as possible." At high altitudes where oxygen is scarce, an action that would be effortless under normal conditions becomes difficult and even the lightest item of luggage becomes a major physical burden. And yet, it was into such harsh conditions during the climb up Everest that Ishikawa insisted on taking his medium format cameras, despite the added danger involved. The trekkers set off from the village of Lukla, 2,842 meters above sea level in the Nepalese mountains. After about two weeks of walking and gradually rising in elevation, taking the beautiful journey through Himalayan villages known as the Everest Highway, they reached Everest Base Camp at 5,200 meters above sea level. At Everest Base Camp, he spent over a month taking care to adapt his body to the high altitude, practicing climbing the icefall, climbing to the top of Lobuche Peak, which stands at an elevation of 6,100 meters, and surveying the approach they'd take when they made their try for the summit. The HIMEX (Himalayan Experience) team that Ishikawa belonged to--made up of nine climbers, excluding three who had to pull out, three guides, and eleven Sherpas--then set out to take on the summit. Their route consisted of a series of increasingly more challenging objectives--Base Camp, Camp I at 6,000 meters above sea level, Camp II at 6,400 meters, Camp III at 7,200 meters, Camp IV on the South Col at 8,000 meters, and finally the summit at 8,848 meters above sea level. 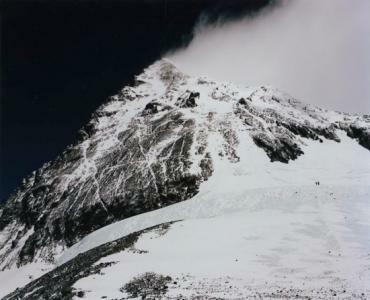 Although they made it to Camp III on their first try, they decided to abandon the effort and temporarily retreat to Base Camp due to adverse weather conditions forecasted near the peak. This apparently exhausted a considerable amount of their strength, but judging the weather accurately is of tantamount importance, as it can truly mean the difference between life and death. On their next attempt, although they originally expected it to take about a week before they could set out again, as it turned out they ended up deciding to try again less than two days after their return, after taking into consideration all the weather forecast data from various countries. Five days after setting off from Base Camp, and about six hours after leaving Camp IV, Ishikawa successfully reached the summit for the second time in ten years at 6:12 AM on May 20, 2011. At the summit, there is only about five square meters of land to stand on, surrounded by sheer cliffs on all sides. The ground is strewn with colorful Tibetan Buddhist prayer flags, called tarcho, on which sutras are written. Taking care not to trip or stumble and fall off--because there was nothing at the summit to fix his body to--Ishikawa held onto his camera with both hands, snapping as many pictures as time allowed, and from time to time breaking off the ice that froze solid onto his camera as water dripped onto it from his oxygen mask. The temperature was minus 30 degrees Celsius. Ishikawa stayed at the summit with camera in hand for 25 minutes. 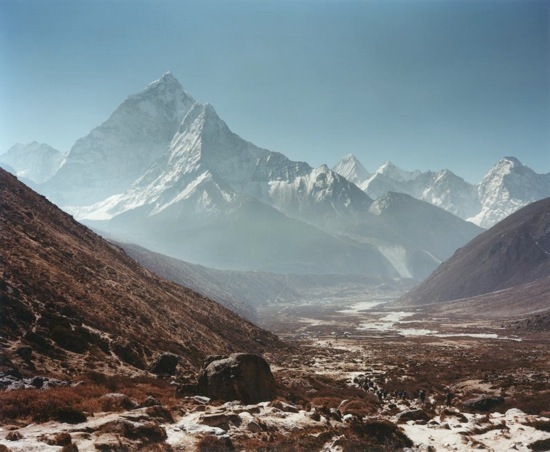 This exhibition displays photographs taken by Ishikawa during his climb up Mount Everest, under conditions that demanded every last bit of his strength and concentration. They record scenes from the icefall, from which giant slabs of ice jut forth, the occasional crevasse, created from deep rifts in the ice, and steep slopes along the route to the summit of Mount Everest. The collection includes bird's eye views of the world from its tallest peak at 8,848 meters above sea level--the broad expanse of the Himalayas embedded in a sea of clouds, the deepening blue of the sky as the artist approached the stratosphere, and the sunlight that makes itself felt more intensely at such high altitudes. 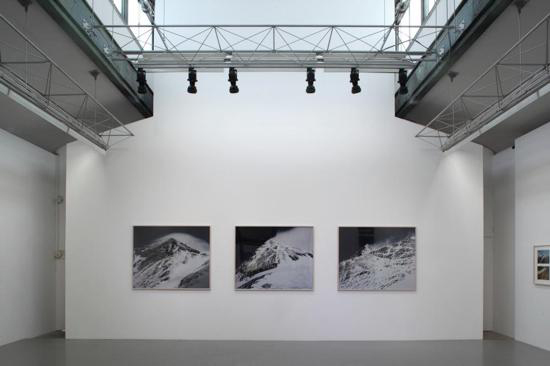 These photographs provide a sense of how the artist sees the world--the awe felt only when facing the vastness of nature, the strength of the mountains which are at once beautiful and forbidding, Ishikawa's strong will to live, and yet, in the face of all that, his ability to maintain a certain distance from the subjects of his art and cool-headedly snap the shutter of his camera. This collection of photos, taken at locations that pushed the artist to the very limit of his mind and body, constitutes much more than mere photographs recording a journey: they convey an irresistible presence. 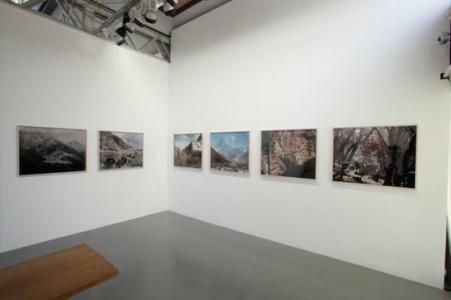 In addition to photos of the climb to the summit, the exhibition also displays photographs of the Everest Highway and the villages of the mountain-dwelling Sherpa people that were frequently visited by Ishikawa over the previous three years for the purpose of surveying the area and adapting to the high elevation in preparation for the climb. 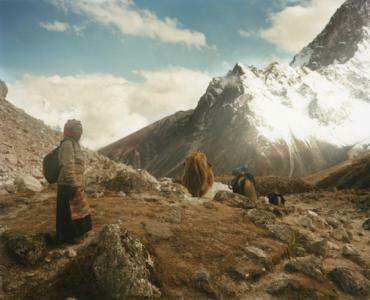 People live quiet, hardy lives there at the foot of Mount Everest, one of the most remote places from the sphere of human habitation, raising yaks, plowing fields, and occasionally carrying their own weight in loads on their backs as they provide support for climbers of Mount Everest. In addition to very likely being the last set of photographs of Everest taken with film cameras in an age now dominated by digital technology--making it a precious record marking the end of an age--this collection of photographs also constitutes a 21st-century journal of an Everest expedition so detailed as to be almost painful in its realism. Even in the midst of the current historic boom in mountain climbing, most people never get even close to Mount Everest. This world of extraordinary photographs, however, provides the viewer with a concrete sense of this lofty mountain far removed from the lives of ordinary people, its presence of overwhelming magnitude, a world in the clouds beyond imagination.